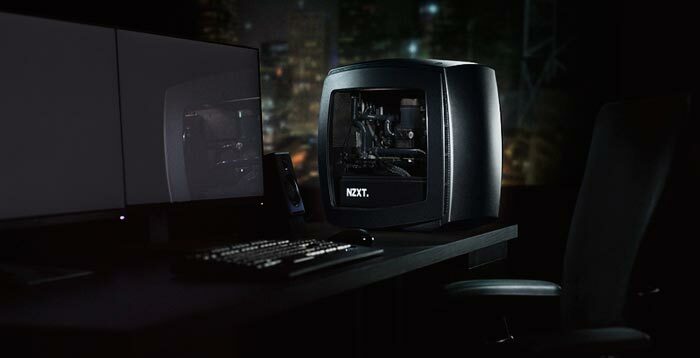 NZXT has launched the "breakthrough" Manta mini-ITX chassis. In typical bombastic fashion the firm claims that it has taken "ITX to a whole new level with a revolutionary design and uncompromising quality". The quality claim will be held up by the reputation of NZXT but of course its revolutionary style and beauty is in the eye of the beholder. But if you do like it, you might find that the beauty if more than skin deep - NZXT says that the curvature of this chassis provides excellent cable management routing options. Johnny Hou, NZXT founder and CEO, told HEXUS in an email "NZXT strives to deliver meaningful innovation across every product we are designing. 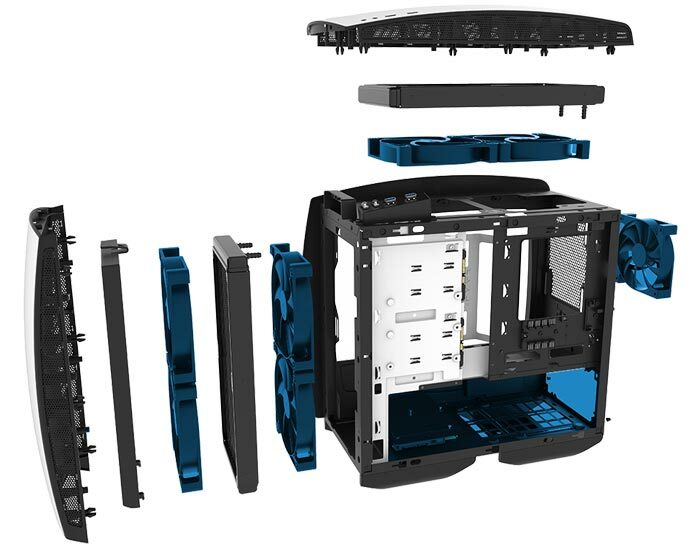 Manta, our first ITX case, provides an innovative and efficient answer to the ITX equation for PC users who are looking for effortless and superior build". A new manufacturing process is said to be used to make the curved steel panels (new to NZXT maybe), and it proudly compares the curves and lines of the Manta mini-ITX chassis to a sport car. The look and appeal is enhanced by a curved glass side window. This large glass side panel is optional - as some prefer 'stealth'. The NZXT Manta also includes rear I/O lighting which can be turned off via the I/O panel. 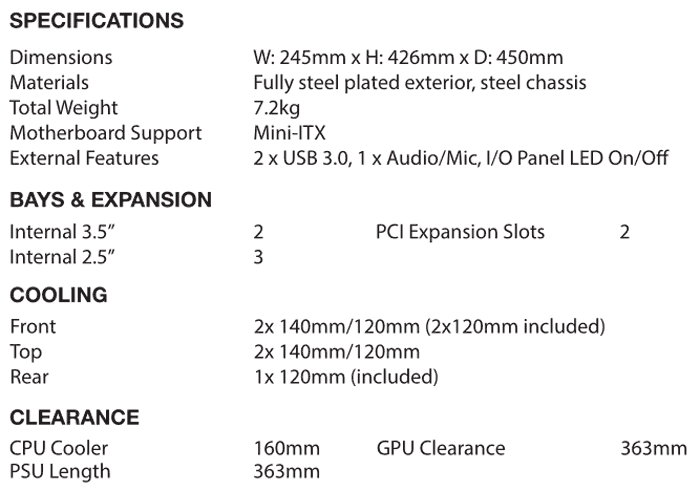 As you can see from the above specs, the Manta, despite being a mini-ITX chassis, isn't very small, or light. However it might appeal on the design front and still satisfy the requirements of many an enthusiast looking to build a new PC. In 'power user' feature terms it offers dual 280mm liquid cooling support (Kraken X61 ready), a purported double the cable management space to aid airflow, and integrated PSU shroud, a fully filtered system, and generous capacity for large graphics cards. There's an integrated PWM fan hub, SSD display and satisfactory easy access I/O panel. 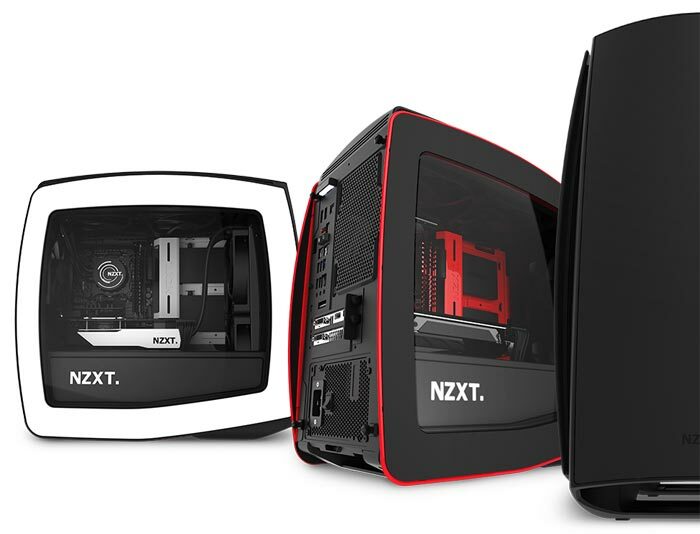 The NZXT Manta mini-ITX chassis is available for pre-order now in Matte White/Black, Matte Black/Red, and Matte Black with or without a windowed side panel. Price is £99.99 +VAT / €139.99 +VAT, with shipping/availability in February. I really want an atx version of this. One Word - CLEAN! NZXT just keep on making the cleanest cases! I love the looks. Away from the standard shoebox. Definitely too small for most people, but it has a good design. Both optical and functional.